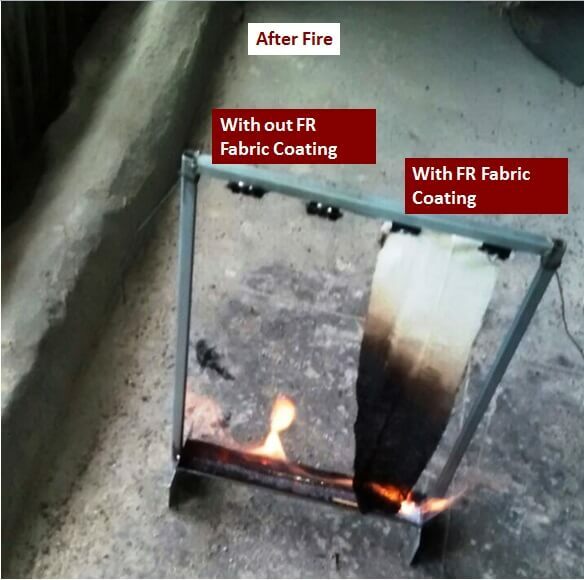 Ace Fire Retardant clear coating for cotton fabric is a water based clear solution to dip and dry the fabric to make it fire retardant. The coating gets absorbed by the cotton textile fibres when dipped into the coating solution. When dried, the water content gets evaporated. The additives get deposited on the surface of the fabric thereby making it fire retardant. The product is tested as per IS11871 (1996) . When dip treated, the cotton fabric gains fire retardant properties. The necessary original properties of the fabric like its ‘looks’, ‘colours’ and ‘touch_ feel’ are not sacrificed at the cost of fire redundancy. The product can be used for other cellulosic absorbent fibres like jute fabric, coir fabric or other similar woven cellulosic water absorbent textile materials. It suits to all types of cotton fibre textiles and weaving patterns. The coating Converts the fabric into black char, but does not allow it to catch flames. 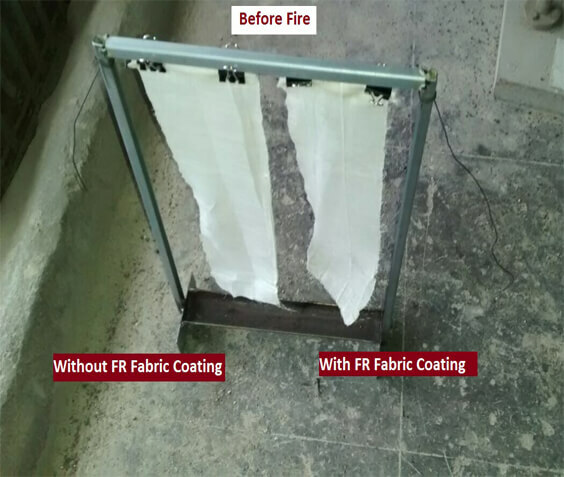 The coating is washable to assist cleaning of the fabric whenever required and can be recoated to make the fabric fire retardant again by dipping in solution and drying. The coating provides protection against attack by rodents, vermin and termite. Ace Fr Fabric Coating is packed in 20 Ltrs plastic cans. Ace Fr Fabric Coating cab be stored in a covered dry shed between 50C to 500 C ambient conditions. Ace Fr Fabric Coating has a shelf life of 18 months in original unopened packing conditions when stored in a dry covered shed.